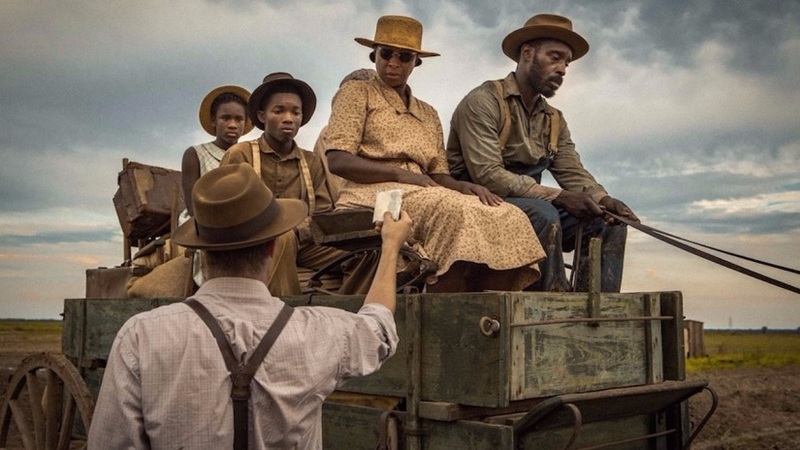 It’s impossible to forget what you witness in the third act of Dee Rees’ Mudbound, a film that questions the meaning of love and identity, even if you have no clue about the long history of racism in the US. The film is set in a time and place where there were different rules for whites and blacks; friendship between people from the two races was frowned up; and more importantly, a man didn’t have the liberty to do what he wanted. The third act, which completely focuses on the consequences of crossing the line, so to speak, is a commentary of the country’s past and it feels more relevant than ever in contemporary times when hate crimes have been dominating headlines. There’s tension in the air and Dee Rees period drama taps into this fear to deliver a gut-wrenching film that, once again, refreshes the debate on racism and finding hope when there is none. Based on a novel of the same name by Hillary Jordan, Mudbound focuses on the simmering tensions between two Mississippi families — one black, one white — and how an unlikely friendship tears everything apart. The story begins in the late 1930s, when Laura (Carey Mulligan) marries Henry McAllan (Jason Clarke), who’s her brother’s boss at work. Henry introduces her to his brother Jamie McAllan; but soon, Jamie enrolls himself in the Air Force soon after USA joins World War II. Meanwhile, Henry decides to move to Mississippi along with his family, after he buys a huge farm in the countryside. Laura isn’t pleased with Henry’s decision, but he convinces her that her life will be even better in the new place. Meanwhile, Hap Jackson is a tenant farmer, who has been working on the same land ever since he can remember; his ancestors too had worked on the same farm as slaves. Hap’s oldest son Ronsel Jackson (Jason Mitchell) enlists in the army and he’s ordered to be part of Black Panthers, a special unit under General Patton, as a tank commander. One fine day, Henry arrives on the farm and tells Jackson’s family that he’s the new owner. As the days go by, Laura and Henry find it increasingly difficult to adjust to their new life, and Hap Jackson’s longtime dream begins crumbling. Misery is one of the pre-dominant themes in Mudbound and it’s even more pronounced in the case of the McAllan’s family. Right from the moment Laura and Henry arrive in Mississippi to take care of their farm, things don’t go as planned and their erstwhile normal, comfortable life begins to feel like a luxury that they can no longer dream of. Laura is the first one to break, although she doesn’t show her anger against Henry or Henry’s father. When Jamie joins them post-World War II, he’s no longer the charmer that he once was. The war has taken a huge toll on him, and his raging alcoholism turns into a big cause of concern. However, it’s Jamie’s admission that he might not have killed as many people in the war that really riles up his father, who admonishes him for being a coward. On the other hand, Hap Jackson is dreading the prospect of not being able to grow any crops, following incessant rainfall, which could push them into more debts. If this wasn’t enough, his son Ronsel seems lost after the war. Ronsel and Jamie have more demons to fight after they return to the US. While Jamie takes to alcohol to forget the horrors of war, Ronsel is heartbroken that he, one of the liberators of Europe, is still treated like a slave back home. “Nothing has changed back home,” he remarks as he is reminded, time and again, by various people that he has to face the reality of his life. And that reality crushes him. Both the war heroes suffer from PTSD (Post-traumatic Stress Disorder) and they realise that perhaps, they are the only ones who share a lot in common compared to others in their family. When Ronsel and Jamie head out, far away from their farm, their conversations about their life in Europe, however horrific they might be, offers them solace. We are told that a white German girl fell in love with Ronsel and a black man saved Jamie’s life. The juxtaposition of these contrasts as compared to their life in Mississippi, couldn’t be more appropriate to underline what Mudbound is all about. That no matter how bleak life seems to be, there’s always some hope that’ll shine upon you. Rachel Morrison, the cinematographer of Mudbound, paints the film with a rich texture that, at times, it’s hard to forget the image of mud and plains drenched with torrential rains. The mud sticks to every character in the story, both young and old, so much that it’s perhaps the only thing that’s ubiquitous in the film. You can’t escape it, unless you move away from the farm. It might very well be an euphemism for fate. It makes me wonder if Ronsel was fighting against his own fate or if Laura could have done something else to escape her fate in the farm. She’s thrilled to bits when Jamie constructs a shower for her because; until he arrives, she never felt clean, except for one day a week. Her fate was bound to Henry’s, but he’s so blinded by his ambition to make a living in the farm that, as Jamie rightly puts it, is ignorant of his own family’s misery. Dee Rees, who co-wrote the screenplay along with Virgil Williams, explores the human side of people, when they are pushed to the brink. While everyone in the film is desperate to get away from what they are cursed to do, Dee Rees also addresses white supremacy, which is also a curse that engulfs minds of people who believe in it. The build up to the third act is quite organic, although there are signs of this simmering tension at every juncture. It’s in every statement that a white man tells Ronsel and his family, “I’m sure you folks don’t need any trouble.” It’s an indirect threat that serves a purpose — to show them their place. And Hap Jackson reprimands his son for forgetting where he is. For all the horrific things that Mudbound focuses on, it also packs in a surprising amount of love and tenderness. Whether it’s Ronsel’s love story or his friendship with Jamie, the film is also about finding one’s peace, no matter how long and arduous the journey might be. There are some who escape their fate to start their life afresh, and others end up where they belong — deep in the mud. There’s nothing more disturbing than the image of a man, who knows he’s about to die for being who he is. And the horrors that a man can endure in a place that doesn’t treat him with respect — it might very well be the story of every immigrant who isn’t so sure where he belongs. Two big thumbs up for Mudbound. It left me shaken and clearly, I’m at loss of words.